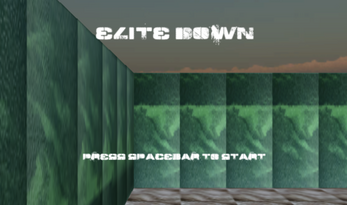 Elite Down is a game designed by ANGELINA, an artificially intelligent piece of software designed by me, Michael Cook, an AI and Computational Creativity researcher. I've actually lost the commentary for this one - this probably means I generated it during the system's development, and didn't keep it. I remember liking the game itself because the theme fits together quite nicely - the theme was 'war', guns kill you, collecting soldiers gains you points, and there's a grassy/barracks-like theme. It feels like you're rescuing these soldiers from a war and escaping with them.